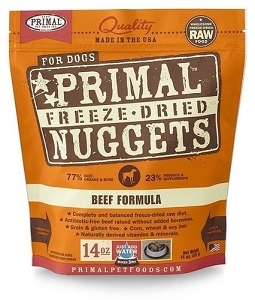 Raw feeding has tons of health benefits for your dog. 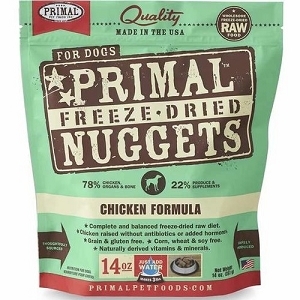 Cooked and processed foods lose nutrients due to high temperatures, and often additives and preservatives are included. Raw foods retain the nutritional value that would otherwise have been lost or diminished during processing. 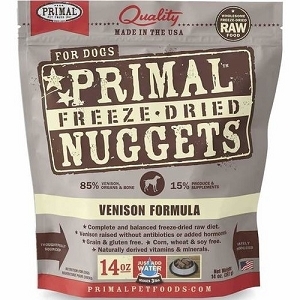 Also, since it's closer to how nature intended, dogs often have fewer digestive issues when fed raw, and also start to show other outward signs of improved health. 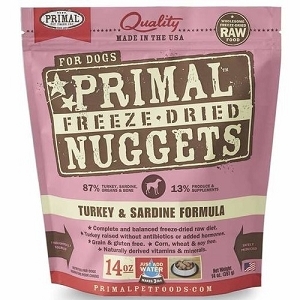 Primal Pet Foods brings you an easy way to feed your dog the raw diet he or she deserves! 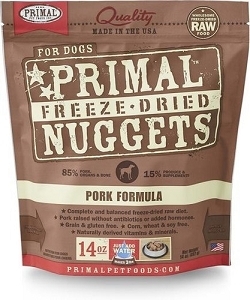 Available in several flavors consisting of up to 85% meat, organs, and bone with the rest being carefully-chosen produce and supplements, Primal dog food is freeze-dried to retain all the healthful qualities of its ingredients. 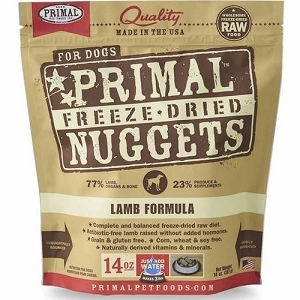 It's carefully balanced to provide 100% complete nutrition using human-grade ingredients. 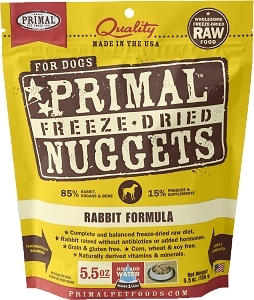 Plus, it's grain-free and gluten-free, so even sensitive dogs can enjoy it. 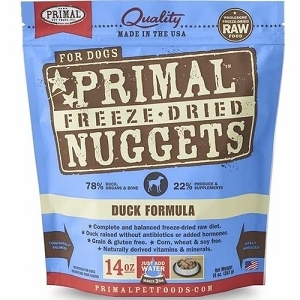 We're pleased to offer it here at Doggyfriend!